Toyota Motor Corp. will mass-produce an electric vehicle in China for the domestic market starting as early as 2012 through its joint venture with China FAW Group Corp., the Nikkei subscription Japanese newspaper reported in its Wednesday edition. While US auto makers and congressmen are up in arms about being required to form joint ventures to market EVs in China, both Nissan and now Toyota are racing into joint ventures before any formal announcement by the Chinese government on any such IP swapping terms has been made. 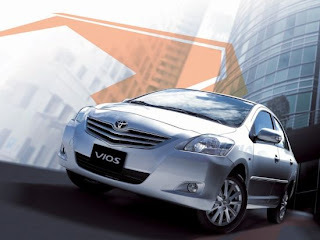 Tianjin FAW Toyota Motor Co. has developed an EV prototype based on Toyota's Vios subcompact. The company has been working toward realizing the processes needed for volume production. "Mass production could begin as soon as 2012, with sales to go nationwide," a media relations representative said today, according to the Nikkei. The car will not be sold as a Toyota, but under a local brand of the Chinese joint venture. It will be priced lower than foreign brands, with an eye toward grabbing a leading share of the market. Honda and Nissan have also announced similar plans to introduce entry-level vehicles under brands of their local joint ventures.